After seven years, the Giant has nothing left to say to his friend the Cornish ogre, and so he returns home to his castle—only to find that in his absence, the children have been playing in his beautiful garden. At once the selfish Giant builds a high wall to keep the children out of the garden. 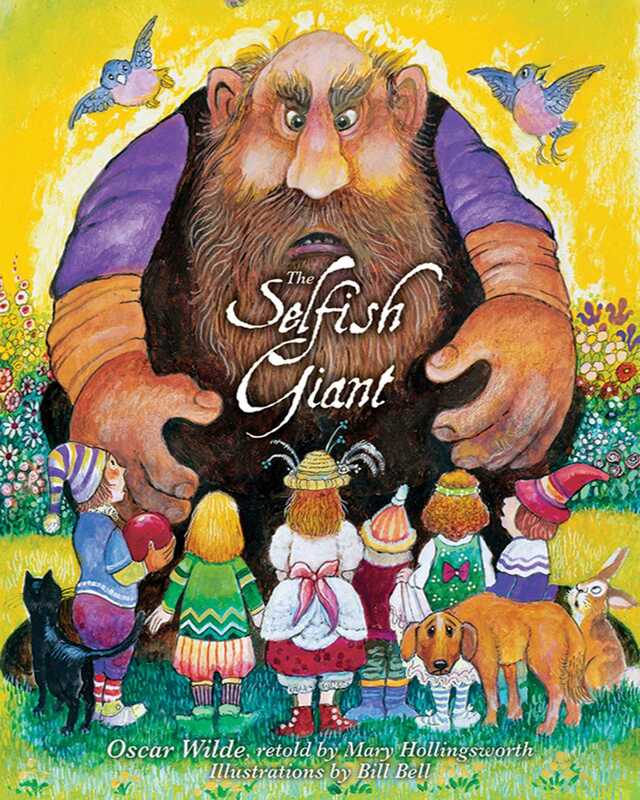 Winter turns into Spring all over the country—but not in the selfish Giant's garden. Across the country Spring turns into Summer and then to Autumn—but in the selfish Giant's garden, the trees refuse to bloom and the birds refuse to sing; they miss the children. The selfish Giant lies shivering in his large bed while Hail, Snow, North Wind, and Frost dance across the garden. But one morning the Giant hears a beautiful noise—what could it be? An unexpected ending gives the story a poignant, wistful quality, and Bill Bell's dazzling illustrations breathe new life into this classic tale. And adults familiar with Oscar Wilde's work will enjoy seeing this gentler, softer side of Wilde. The Selfish Giant is a beautiful book for parents and children to read together during any season.